I'm a Independent Stampin' Up!® Demonstrator. Welcome to my blog! 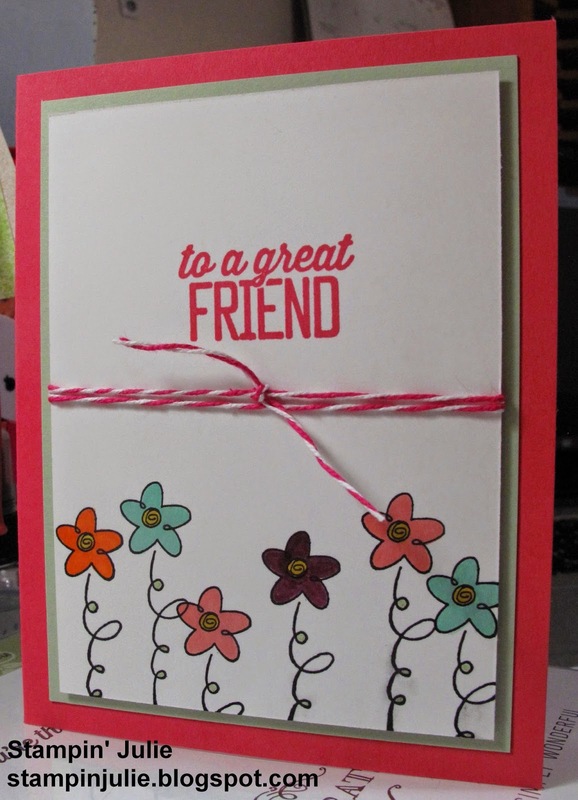 I have been really loving making cards with Stampin' Up! products. I wanted to dragonflies to be the main standout on my card so I softly watercolored the background. I used the Watercolor Pencils to apply some color to the paper first, then used the Aqua Painter to blend the colors out so I had no harsh lines. I was inspired to make this card from another card marker. I have always loved the Little Twinkle stamp set and knew that this was more then just for babies. By combining it with the Well Said Bundle I'm telling my loved one that our love was written in the stars. Hello again. How is your week? I am currently in the Valley (Phoenix) picking up my brother who is going to stay with us for a few days. We usually do this every summer with him. He has some developmental delays even though he is 22 yrs old. My husband and him get along great and do a lot of fun things together. He really enjoys being up here. For my card today I did something very simple, but still beautiful. Not everything you do needs to be over the top. And I don't want anyone thinking simple just means boring. Also, it helps those beginner stampers out there understand that "Yes" they can do this. There is no fancy layering on this one, just stamping. The new Bokeh stamp is simply amazing. I makes a great background for this beautiful dandelion that as kids we all would make a wish and blown it into the wind. The Occasion catalog is here! Come see what you can get for FREE! The content on this blog is my sole responsibility as an independent Stampin’ Up! demonstrator and the use of and content of the classes, services, or products offered on this blog are not endorsed by Stampin’ Up!®.